TTG - Travel industry news - How clean is the cruise industry? How clean is the cruise industry? Last week Carnival Corporation released the 2016 sustainability report for its 10 brands, along with a dedicated sustainability website. It makes for positive reading, but how much progress is really being made in this area by the world’s ocean cruise lines? Crystal Chung takes a look at some of the steps being taken. The cruise industry is no stranger to criticism around sustainability and the environment, and the past year has been no exception. In July, Channel 4’s Dispatches went undercover on P&O’s Oceana, reporting that some of the air onboard was “twice as bad as London’s Piccadilly Circus”, while in December last year Princess Cruises was given a $40 million fine for dumping oil-contaminated waste at sea. However, the sector has been working hard behind the scenes to become a cleaner, greener industry. Here, TTG analyses some of the key areas of development. 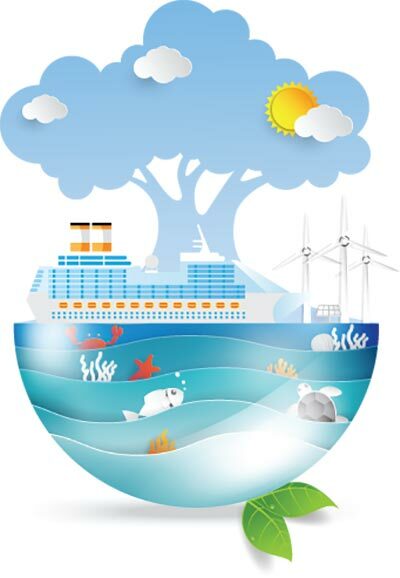 Carnival Corporation (parent company of P&O Cruises; Princess Cruises; Holland America Line; Seabourn; Cunard; Carnival Cruise Line; Aida Cruises; Costa Cruises; and P&O Australia), established 10 goals in 2015 to reduce its environmental impact, setting a five-year timeframe to reach each target. The company’s latest sustainability report revealed that a 24.8% reduction in carbon emissions had been achieved against a 2005 baseline, just short of its 25% target for 2020. One of the main ways in which Carnival hopes to achieve this reduction is through the use of liquefied natural gas (LNG). Other steps it is taking include expanding its partnership with power company Wartsila to include a long-term diesel engine maintenance agreement with an energy-efficiency component and continuing the installation of Exhaust Gas Cleaning Systems (EGCS), which significantly reduce sulphur compounds and particulate matter from ship engine exhaust. Norwegian operator Hurtigruten is working to cut its environmental footprint by launching nearly 30 steps to reduce its annual emissions of 540 tonnes of nitrogen oxide (NOx) and 18,000 tonnes of carbon dioxide (CO2). Examples of its actions include reusing waste oil as fuel to heat large institutions in Norway, reusing heat from the engines’ cooling water and exhaust to warm up the hot water tanks onboard, plus optimising itineraries and route planning “to get the most efficient operation of ships”. It has also launched The Hurtigruten Foundation to raise awareness about sustainable travel. Anthony Daniels, head of sales, UK and Ireland for Hurtigruten, told TTG that the company put “great effort into… strengthening environmental initiatives and running a responsible, sustainable operation to ensure the highest level of environmental awareness – onboard and ashore”. Meanwhile, Royal Caribbean Cruises Ltd has announced a five-year partnership with the World Wildlife Fund (WWF) to support ocean conservation, with a target to reduce its greenhouse gas emissions by 35% by 2020. Andy Harmer, SVP membership and director of Clia UK and Ireland, told TTG that a study last year commissioned by Clia concluded that all of the association’s member lines either met or exceeded international air emission requirements. One area Carnival hopes will help it improve its emissions is in the development and implementation of LNG, which is said to be much cleaner than the fuels currently used, “emitting zero sulphur dioxides” and, compared with marine diesel oil, representing a 95% to 100% reduction in particle pollution, an 85% reduction in nitrogen oxides and a 25% reduction in carbon emissions. Carnival Corp claims it pioneered the use of LNG with the launch of the 3,300-passenger next-generation AIDAprima (pictured bottom left) in 2016 – the first ship to use a dual-fuel engine that can be powered by LNG while in port. Carnival Corporation now has seven next-generation ships on order, which will be powered by LNG in port and at sea, and other lines have been quick to follow suit (see box). Meanwhile, Hurtigruten’s new-build ships due for delivery in 2018 and 2019 – the Roald Amundsen and the Fridjtof Nansen – will be powered using a hybrid of MGO (marine gasoil – a cleaner, lower-sulphur fuel) and battery power. Harmer highlighted that the cruise industry is investing more than $9 billion in 87 cruise ships on order, “all using the latest innovations and technologies to minimise their environmental footprint, including alternative fuels and emission abatement equipment. Hurtigruten – Roald Amundsen due for delivery in 2018 and Fridjtof Nansen due in 2019, both powered using hybrid technology (MGO and battery powered). However, Loxham was keen to highlight that vessels powered by LNG “are not emissions free”, and there is an issue with “methane slip”, which is the release of unburnt methane in the exhaust. Methane is a greenhouse gas, and so this is likely to have important environmental consequences and may also have health consequences too, he added. 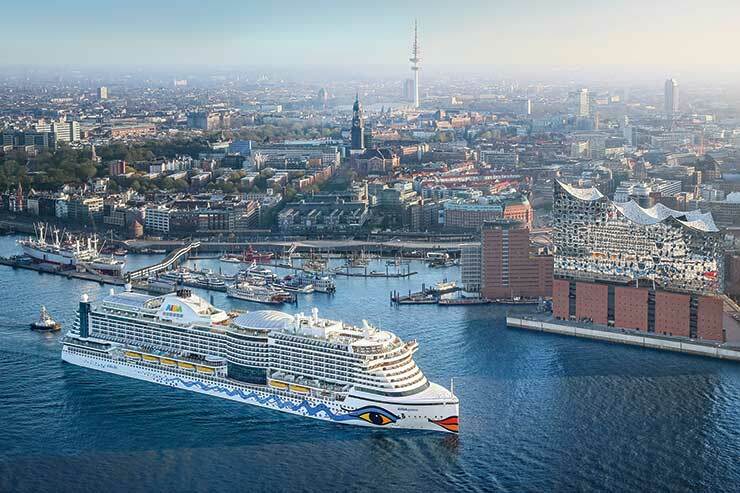 “Although cruise lines are complying with the relevant legislation, and some are going beyond – through the introduction of LNG ships to their fleets – there is still more to be done, especially regarding emissions affecting port cities and nearby urban areas,” Loxham said. Meanwhile, Daniel Rieger, transport policy officer at the Nature And Biodiversity Conservation Union, urged the industry to “go beyond and to find a way to get rid of fossil fuels to limit their carbon footprint and to contribute to climate protection”.